Make yourself at home in one of the 54 air-conditioned rooms featuring kitchens with refrigerators and stovetops. 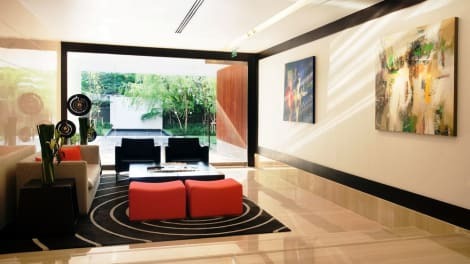 32-inch LCD televisions with satellite programming provide entertainment, while complimentary wireless Internet access keeps you connected. Private bathrooms with separate bathtubs and showers feature deep soaking bathtubs and rainfall showerheads. Conveniences include phones, as well as safes and desks. 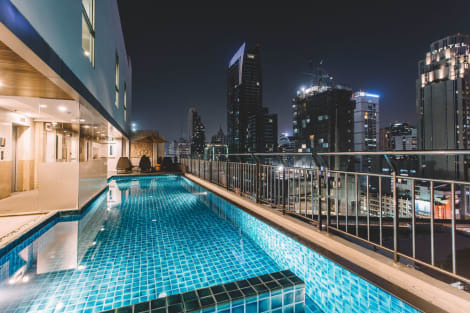 A stay at Hotel Windsor Suites Bangkok places you in the heart of Bangkok, within a 10-minute walk of Soi Cowboy and Terminal 21 Shopping Mall. This 4.5-star hotel is 0.7 mi (1.1 km) from Emporium and 0.7 mi (1.1 km) from EmQuartier. Featured amenities include a business center, limo/town car service, and complimentary newspapers in the lobby. Planning an event in Bangkok? This hotel has facilities measuring 5081 square feet (472 square meters), including a conference center. A roundtrip airport shuttle is provided for a surcharge (available 24 hours), and free self parking is available onsite. Make yourself at home in one of the 163 air-conditioned rooms featuring kitchens with refrigerators and microwaves. 43-inch LED televisions with cable programming provide entertainment, while complimentary wireless Internet access keeps you connected. Conveniences include phones, as well as safes and desks. Grab a bite to eat at Tasters, a restaurant which features a bar, or stay in and take advantage of the 24-hour room service. A complimentary buffet breakfast is served daily.